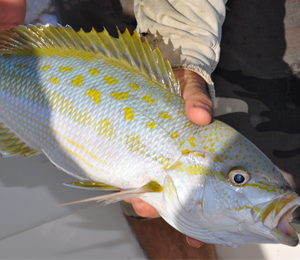 This time of year, the Mangrove Snapper spawn is at its peak at the Atlantic reef. Every evening during July we guide charters south to the reef in the late afternoon to fish until around ten or eleven pm. 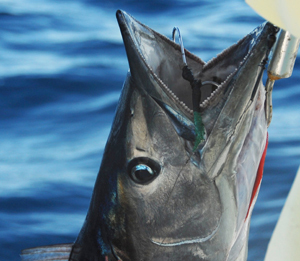 These four to seven pound game fish are especially active in the moonlight. 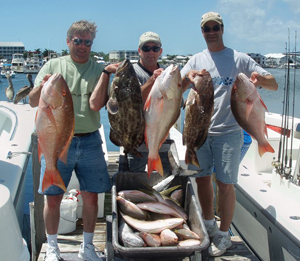 In addition to Mangrove Snapper, our clients have been nabbing Grouper, as well as Yellowtail and Mutton Snapper. 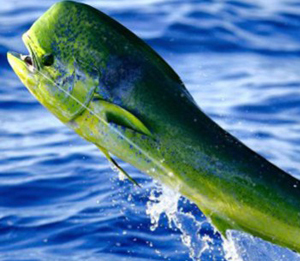 If you are looking for some fishing excitement, this is a great time to book a charter with us in Key West. The light tackle fishing has really ramped up lately. We are currently in the middle of both the Yellowtail Snapper and Mutton Snapper spawns at the Atlantic reef just south of Key West. It was a little windy off the reef this morning so we did a little drifting while angling for Yellowtail Snapper. While we did not catch the same amount of Yellowtails as we have been in the last few weeks, we were hooking larger examples of the species weighing around five pounds. If you are looking to enjoy some fantastic light tackle angling, be sure to visit us this time of year in the Keys for an exciting inshore excursion with our savvy fishing guides. We've been running charters day and night out to the reef south of Key West to take advantage of the Snapper spawn. In the late afternoon until around 9 pm, we've been sending our charter boats out to the Atlantic reef to fish for Mutton Snapper. 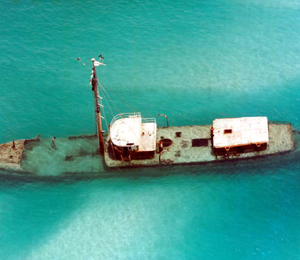 If you are interested in some light tackle action, this is a great time to visit us down here in Key West. 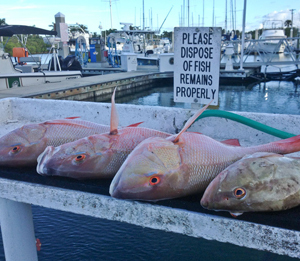 Just off the reef on the Atlantic side of the island, the Mutton Snapper spawn has hit its peak. Our charters have been heading out to the reef every afternoon around 3pm and fish until 9 pm.